Option 1: Excl. Accommodation € 1250,- excl. 7% VAT Option 2: Incl. Accommodation € 1450,- excl. 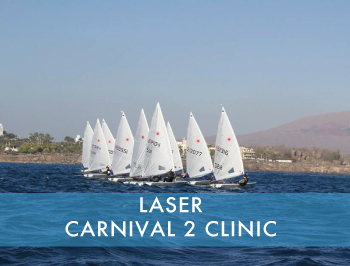 7% VAT Sailors get a choice to book the clinic including accommodation to stay at our hotel or excluding accommodation and arrange their accommodation in a villa through us or elsewhere by yourself. For additional persons or extra nights (+€20 for single room) we offer a deal to stay in the same hotel as the sailors for €49 ex VAT per night incl. breakfast/dinner.